Metallics and camouflage are 2 key trends for Spring Summer 2013. The sleek polished metallic tones are not exactly the best companion to go with grungy camouflage prints. But Paul Smith took a chance and came up with a shoe that merges the two with quite desirable results. Clever as Paul Smith is, he incorporated the brand’s irreverent British charm, side by side with these 2 key themes onto a pair of classic brogues. 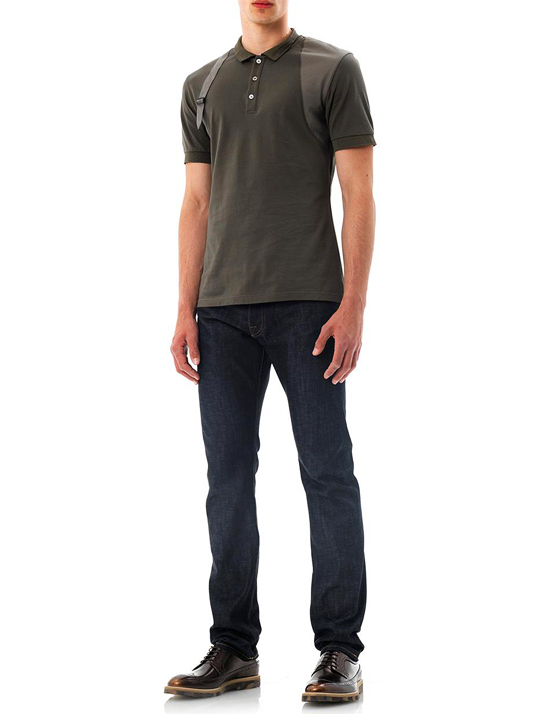 But funk it up just enough with a thick rubber sole to make them both formal and street cool. The camouflage pattern sits nicely as a subtle but interesting detail on the soles while the metallic tones appeared naturally as a bronze brown tone on the leather. Brilliant execution. Get your pair at www.matchesfashion.com for £255 (or approx. SGDD480) which is quite well priced for a pair of full leather shoes from a renowned designer. 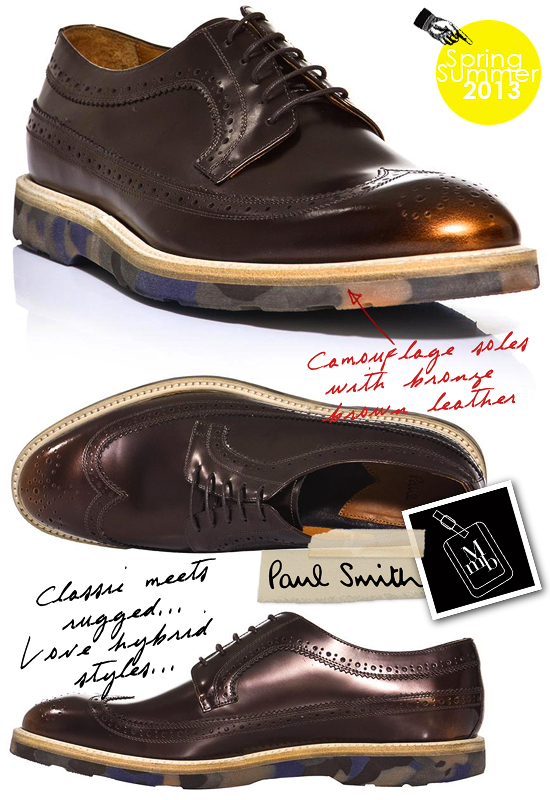 Click here for more pics of Paul Smith Camouflage City Brogues on my facebook fanpage. 'LIKE' my fanpage if you enjoy reading this post.